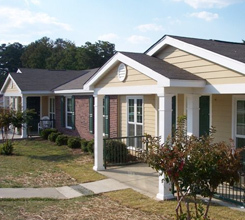 The Housing Authority of Columbus, Georgia teamed with New Horizons Community Service Board to develop and operate 28 units of multi-family housing. 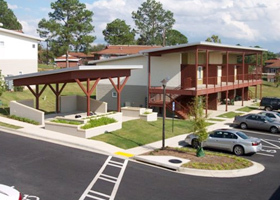 These apartments are affordable by low-income households and are rented to Special Needs Residents. These needs include counseling, screening, self-help, and peer support. The newly developed apartments are in a gated community and built for safety and family living. The apartments are one bedroom/one bath approximately 755 square feet which has an on-site community building and leasing center. It provides a large sitting/TV room, fitness room, and laundry room, computer lab, meeting facilities, offices for property manager & service providers, conference space and a training/demonstration kitchen. Willow Glen is not just apartments; it is a community. Willow Glen is located in Columbus close to shopping, dining and places of worship for you to go. This is a place to grow your learning living skills and enjoy your life.